The evening, which was organised by charity ‘The Arts Project’, was a chance for 47 LGBT+ artists to showcase their vibrant art work alongside cabaret performances from singers, dancers and comedians. The Mayor of Camden, Jenny Headlam-Wells and the Mayor of Islington, David Poyser officially opened the evening and Trust Chair, Leisha Fullick gave a speech to highlight the achievements of Loudest Whispers and the continuous support for the event from the Trust. Throughout the evening, artists shared the stories behind their art work, with the artists ranging from those in their teens to people aged 80+, with the multi-ethnic cultural diversity of our LGBT+ community reflected in the exhibition. 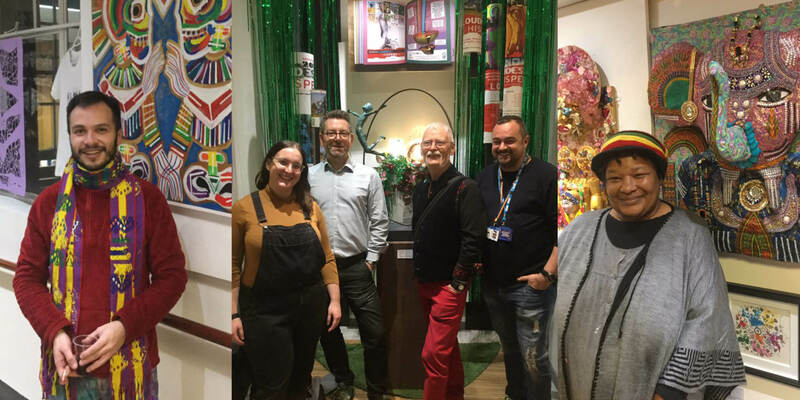 The event was also a chance for the Trust’s LGBT+ staff network to come together for their first social event of the year as well as mark the beginning of LGBT History Month.